Available from Goldtec Control Systems , TALGIL Dream irrigation control systems are user friendly and are suitable for use with open field and greenhouse applications. TALGIL Dream irrigation control systems have a flexible construction and feature a large LCD display with a wide keyboard, making them operator friendly and ideal for use in day or night applications. 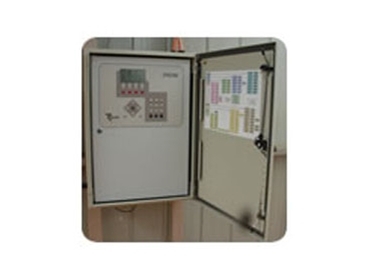 This irrigation control system is capable of handling systems of multiple irrigation lines and a large number of valves which can be irrigated individually or in sequence or groups. Capable of storing a large number of programs, Dream irrigation controllers can also provide a detailed report of events and is able to coordinate operations between field units. Central control is via PC and windows oriented software that features built in bilingual software where languages can be changed by a single simple key stroke. Dream irrigation management systems can handle many fertilisers locally or centrally and fertilising in three stages: pre-watering, fertigation and post- watering. Wide options of fertigation dosage modes are available.